Gary and Tracy Plante of Cedar Hill Log Homes, Independent Dealers of Honest Abe custom manufactured log and timber frame homes in Rehoboth, Mass., recently attended the Honest Abe Log Homes 2018 National Dealer Conference. Clements said that each of Honest Abe’s Independent Dealers is assigned a geographic region for which they are granted exclusive dealership rights, ensuring that the entire United States is covered by the dealer network. Cedar Hill Log Homes covers the New England counties of Plymouth and Bristol, Mass. 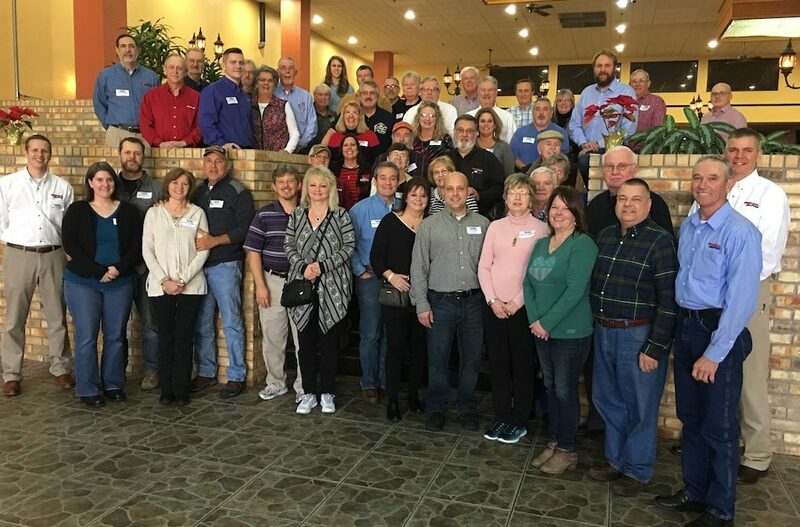 The Plantes joined other Honest Abe dealers from across the country who traveled to Cookeville, Tennessee, on Jan. 25-26 for product updates, sales training and achievement recognition. Then on Jan. 27 the Independent Dealers visited Honest Abe’s National Headquarters and manufacturing facility in Moss, Tennessee, for a Log Raising and Mill Tour open to the public during which members of the Honest Abe team constructed a small log structure, demonstrating and describing the building process. The conference finale was a tour of the home of April and Nick Patterson, co-owners of Honest Abe, whose new home is the first to be constructed of Honest Abe’s 10” Round Log, a new offering introduced in 2017. For more information, contact Cedar Hill Log Homes at (508) 455-0110 or visit www.cedarhillloghomes.com or www.honestabe.com.